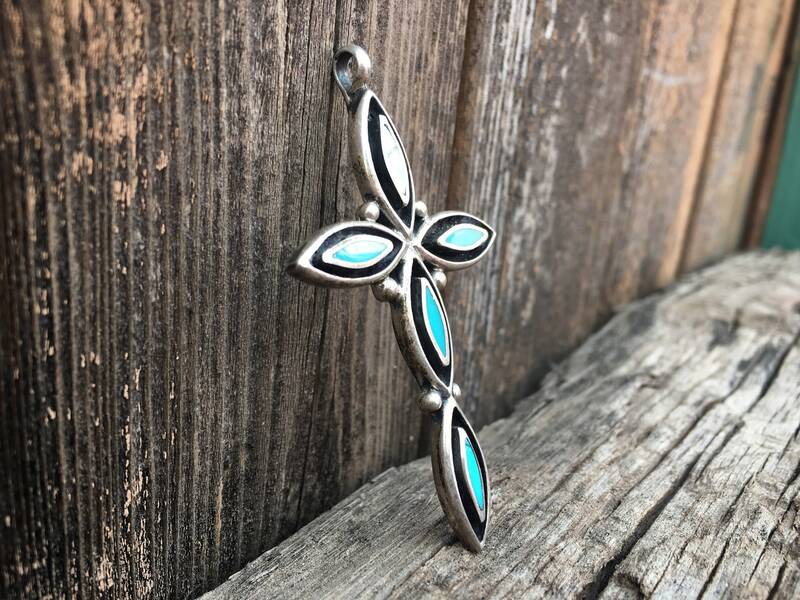 Here we have a sterling silver and turquoise cross pendant made with matrixed turquiose that has been inlaid into thick silver borders, which in turn sit on shadowbox foundations. I estimate the piece to be from about the 1970s. 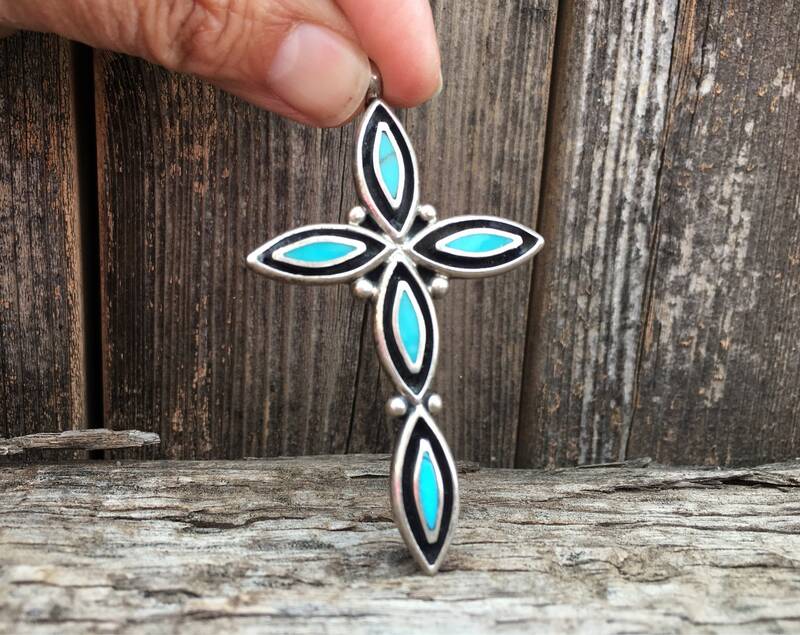 There is a faint 925 stamp, rubbed away by age and wear, as well as an equally faint artist hallmark, which I believe is an S, which may stand for Navajo Sarah Chee, who is known for making crosses. 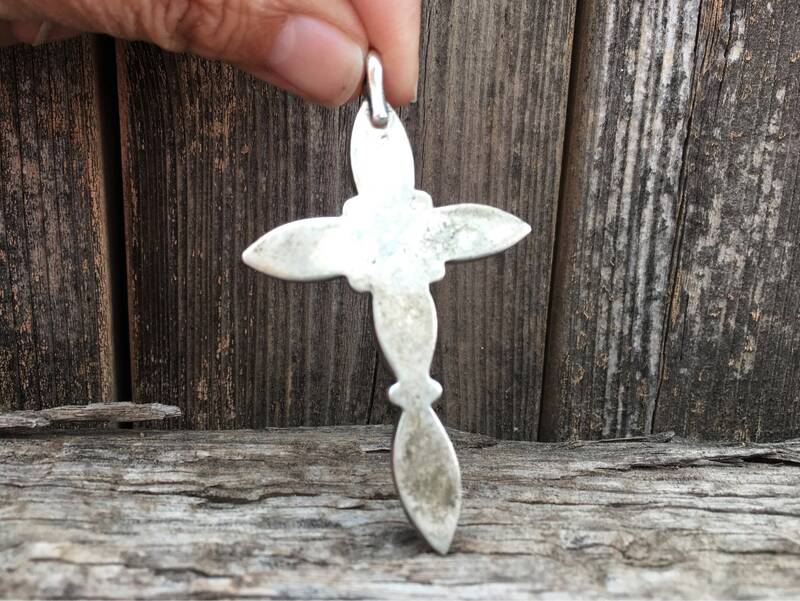 The cross was well worn, as evidenced by the wear on the silver. As a piece representing Christian faith, and Catholic faith in this part of the world, that wear does not take away from the piece. 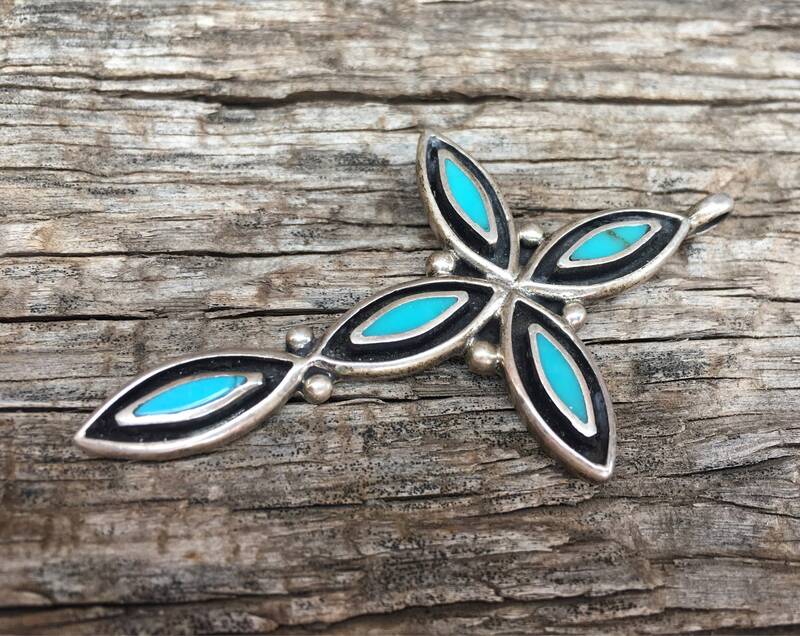 The pendant measures 2-3/4" long by 1-5/8" wide. The eye hook hole is not wide, at about 1/8" around. So keep that in mind when thinking about a chain. 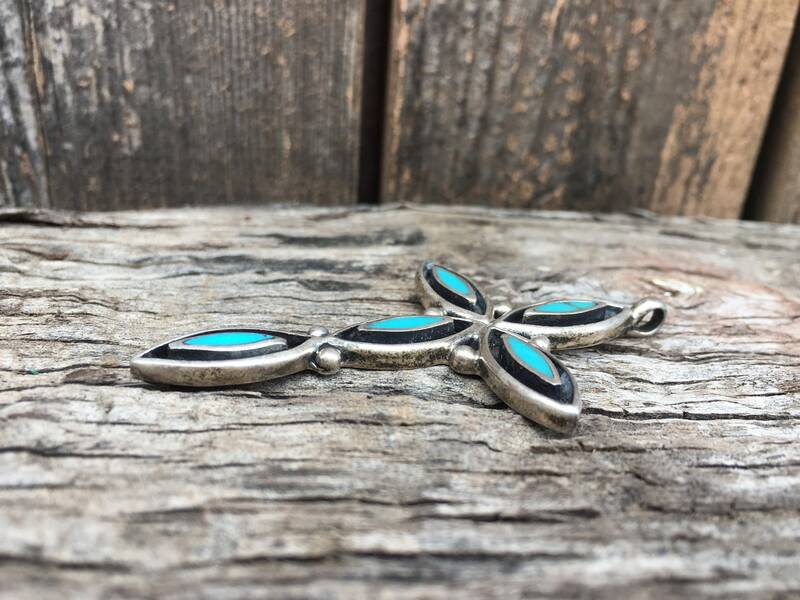 It would look good on a chain that has some weight, but the clasp may need to come off and placed back on to fit through the eye hook. 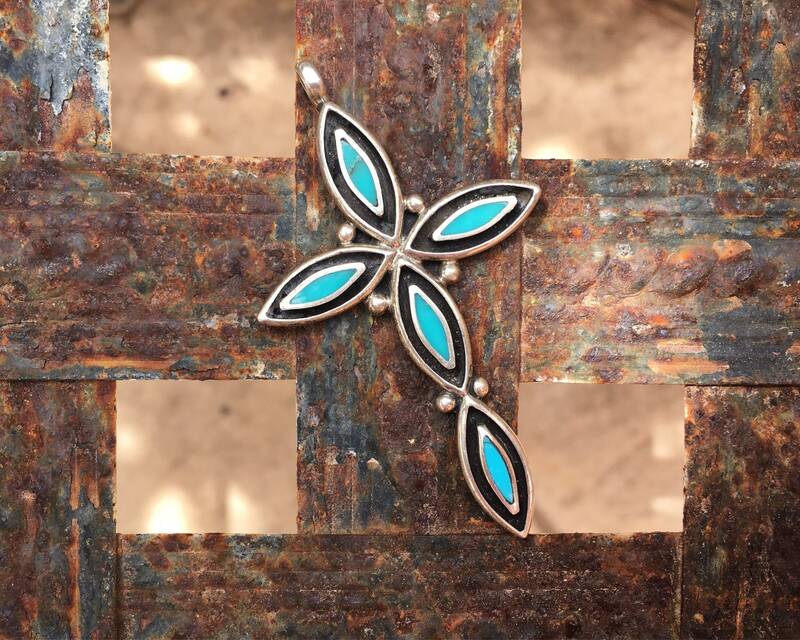 A larger pendant with big presence.